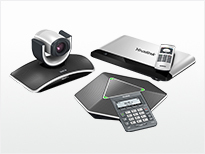 The Yealink VC400 provides a high quality Video Conferenxing experience at an affordable price, perfect for SMB’s and SME’s looking for high quality video, audio and content sharing. The Yealink VC400 provides full-HD multipoint video conferencing for you and up to 4 participants at 1080p, or 8 participants at 720p, to enables you and your clients to communicate and collaborate without the need for an MCU or subscription to a cloud service. 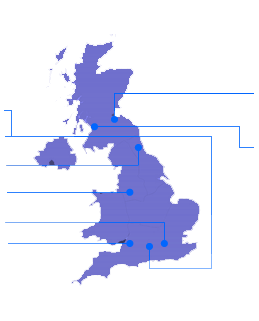 With the push towards cloud based services, embedded multipoint conferencing systems are becoming less available in the marketplace, however are still in high demand from smaller organisations who need the functionality but do not want to subscribe to an ongoing cost, or do not have the budget to purchase their own on-premise MCU. The Yealink VC400 also supports full HD dual stream content and data sharing, enabling you to share your presentations, documents and videos with participants in the conference, wherever they are located. The Yealink VC400 includes a VCS Phone, designed to include a number of leading-edge professional video technologies, to bring you and your meetings an excellent audio experience. The VCS Phone has several built-in microphone arrays that supports 360 degree audio pickup in your meeting room. The VCS Phone also support expanding microphones, to extend your range to up to 5 metres, ensuring everyone in the room can be heard clearly and efficiently. The Yealink VC400 enables both SIP and H.323 Video Conferencing systems to call, and be called, by being highly interoperable and complying with the industry standards. Interoperability with major vendors improves cost-efficiency and flexibility to call who you want, when you want. Plus, the Yealink VC400 allows interconnection with devices including smartphones, tablets and video phones, so your teams can access, collaborate, share and discuss at any time, anywhere, on the device they choose. Or contact us today to arrange a demonstration of this solution and more!